I actually treated myself to quite a few things for my birthday. My friend and I made the fatal mistake of popping into the Guess shop – just for a look round. We never end up only looking round. There is nothing that we don’t love in that shop. I’ve been wearing it with black skinny jeans, my Guess necklace, either a pinstriped suit jacket that I bought from Karen Millen about ten years ago or a black leather, biker style jacket from Top Shop, and my new heels. Also by Guess? They’re a bit brighter and girlier than I’d usually wear, but I like them. Once again I’m also a sucker for the pretty packaging. I always save the carrier bags I get from Guess, with the glamorous photographs that are printed on them they’re perfect to reuse as gift bags. My friend cuts hers up and has the pictures in frames around her flat. 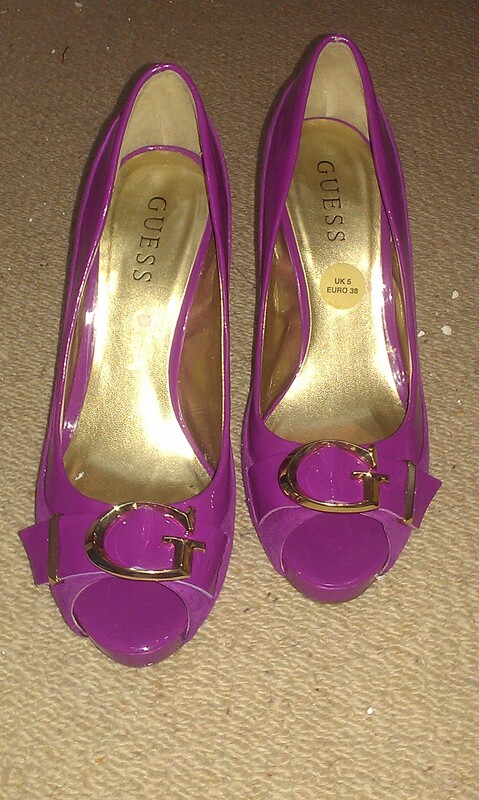 Tags: Clothing, Guess, Heels, Karen Millen, Shoes, Shopping. Bookmark the permalink. 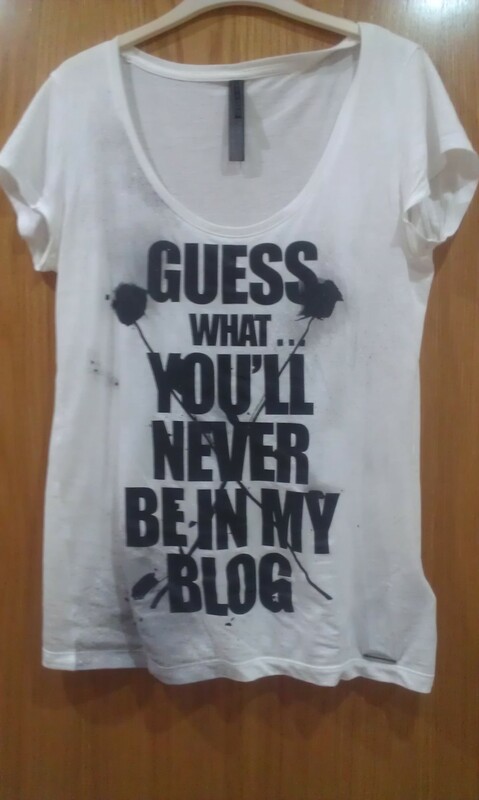 Great tee… also love the comment “retail therapy!” Happy belated, btw! Those shoes are fabulous. I love a flash of colour like that when you’re wearing something simple like jeans and a t-shirt. Also, love the shirt. sorry I missed your birthday hope you had a great one! to be fair i didnt know so its your fault not mine 😀 Loving the top do they come in moose sizes? Thank you. I checked the website and it looks like they only do a women’s version, so it depends whether you fit into women shaped clothes. That is a great top. Too funny. Happy Birthday!